At Omni Care Hospice, we strive to deliver the best in-home Las Vegas hospice care for the lives of people with life-limiting illnesses. This includes a full support system for both the patient and their family. Let us answer any questions regarding our hospice care services. Click below to call us today. Hospice is a special type of care that combines palliative care and the philosophy that quality of life is better than quantity of life for those with life-limiting or terminal illnesses. Hospice care operates under the goal to maximize the quality of life by providing tailored end-of-life care and support services. This is all performed to keep the patient as comfortable as possible so that they make the most of what remaining time they may have left. In order to qualify for hospice care, the patient must have received a prognosis of six months from a medical doctor. This doesn’t mean that your loved one will die within that time; of course no one can predict this with accuracy. It just means that their illness is terminal and the doctor feels that they could possibly pass away within six months or that curative treatments are no longer effective. 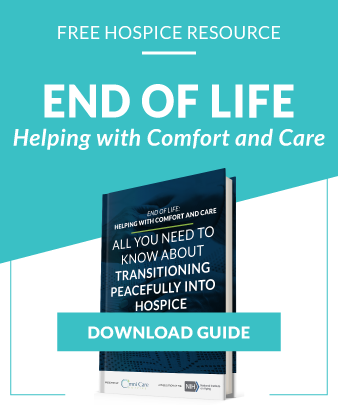 How Do I Start the Hospice Process? In order for hospice to start, we must receive the hospice order from the doctor. This acts as a referral that states the patient is qualified for hospice. Then, we will look over the patient’s medical history and assess the patient in order to craft an individual care plan. The assessment can be done at the hospital or in the home, whichever is most convenient for the family. Is hospice only for the final days of life? Not at all. 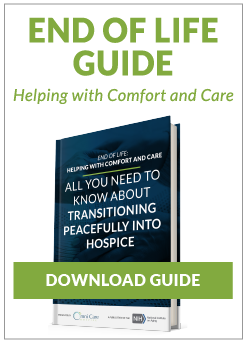 In fact, the earlier the transition to hospice, the more effective it is to control symptoms and provide peace and quality of life for the patient and family members. How long does hospice stay with a patient? Long-term hospice care is sometimes necessary if a life-limiting illness does not run its course in that time. Just because the prognosis is six months doesn’t mean that hospice will end once that time passes. So long as the prognosis doesn’t change, hospice eligibility does not change. Our team continually adjust care plans to cater to the unique needs of each individual we serve. Am I giving up hope by choosing hospice? Absolutely not. Hospice begins when curative treatment is no longer an alternative, so you’re simply shifting priorities to get the most out of the time you have with your loved one. Hospice neither prolongs nor shortens death. The focus is on pain management and quality of life vs. quantity of it. In many cases, insurance coverage will dictate the cost of hospice care. If the patient is not covered, or if their plan does not include hospice, our financial experts can discuss options and ensure the patient gets the services they need. Does Medicare, Medicaid pay for hospice care? Medicare and Medicaid pay for hospice care so long as the patient meets certain eligibility requirements. Do you provide pain management? Pain management is an essential aspect of hospice care. Depending on the patient’s needs, we offer pharmaceutical grade medications and other alternative therapies such as cannabis therapy, massage therapy, etc. What restrictions does the nurse have? Case Managers (RNs) have no restrictions in caring for their patients. How often do you check the patient? Case Managers are required by Medicare to see each patient at least once every fourteen days. However, at Omni Care Hospice, we see patients twice a week or on an as needed basis based on the needs of the individual. How do you make them comfortable? The goal of our hospice services is to make patients comfortable through pain management techniques and therapies as well as emotional and spiritual support. We educate our staff on the process of death and dying so they can convey the message to the patient and their loved ones. This situation is never easy, so we want to make everyone involved as comfortable as possible during this transition. We respect the wishes of the patient when it comes to resuscitation. If the patient has a Do Not Resuscitate (DNR) order, we let nature take its course and the patient pass peacefully. If no order is in placed, we are required to resuscitate him or her. What happens after my loved one passes? The family is expected to call the hospice nurse, who will be able to come to the home and facilitate the process. We adhere to Medicare guidelines by keeping in contact with the patient’s family for 13 months or more after a patient has passed. We’re not just focused on the well-being of the patient; our goal is to provide comfort and compassion to their family as well. Grief counseling and other bereavement support is available for any of the patient’s loved ones. It is not the goal of home hospice care to cure any illnesses but rather manage symptoms to improve the quality of life. Enlisting hospice services does not mean you’ve given up; it simply means the priority has shifted from aggressively curative treatment to pain management to increase the comfort level of the individual. Our team provides care to many individuals that have chronic illnesses, cancer, dementia, and many other life-limiting conditions, so you can count on us to provide the highest quality of care. This is why we develop care plans that cater specifically to the needs of the individual. In addition, should an issue ever arise, we’ll be there to assist you any time of day or night. The purpose of palliative care in hospice is not to cure but to alleviate suffering. Hospice would not be possible without palliative care, but we do not provide palliative care outside the hospice setting. All our patients receive this kind of comfort care to make them able to focus on the things that matter most with the time they have. 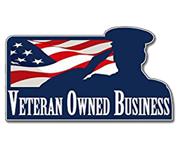 Consider us your support team. Our services encompass not only the needs of the patient but the family members as well. Hospice isn’t just for the patient! This is a time of transition for everyone involved, and it may be emotional or stressful at times. That’s why our philosophy is to work with all who are involved and provide as much support as we can. We’re all in this together! As a general rule, hospice social workers follow the wishes and requests of the family. They are available to offer a more holistic approach that addresses both the physical and emotional needs of everyone involved. Our social workers are also available to help communicate the patient’s needs to our team of medical personnel or provide assistance with filling out any paperwork that’s necessary. We build relationships with our patients, and it is only fitting that we honor them by supporting their relatives too. We believe that every individual we meet has an impact that reaches far beyond themselves, spanning out to their community and loved ones. In that same way, the hospice care we provide extends beyond the life of a patient. We feel strongly about being here to support and guide you through your transition because we understand how grief and loss affect family and friends who have lost a loved one. Family members feeling grief may experience emotions including denial, anger, and depression when a loved one passes away. One amazing thing about hospice care is that grief counseling is covered under Medicare if your loved one or patient qualifies for Medicare-certified hospice care. Our social workers are here to help patients and their loved ones understand what they can expect from the hospice process. They are available to help answer any questions you might have and suggest additional resources if necessary; This can include what is needed in regards to patient care from nutrition and dietary tips to physical care such as bathing. Patient autonomy is key. Just because a patient no longer wants disease treatment doesn’t mean they are left without support for their medical needs. With hospice care, there are long discussions about what goals the patient and their family have. Communication with your hospice provider is crucial to getting the most out of life with a serious illness. Omni Care Hospice is sensitive to your needs during the course of bereavement. We provide the utmost care to our patients and offer the same treatment with our bereavement services to family and friends experiencing loss. After the passing of a loved one, it is our priority to be sensitive to the requests of family and friends. We can help lift the weight from your shoulders by answering questions or putting you on the path to coordinating care.